Friends! My recipe for these delicious Apple and Castello Blue Cheese Fritters is apart of the Melt Recipe Blogger Challenge! Please help me WIN by clicking the link below and please share this link with your friends and family! Thank You!!! In a large bowl combine all the ingredients and gently fold in the Castello® Blue Cheese. Add 2 inches of vegetable oil to a large skillet. Heat until just smoking, and then reduce to medium low. Using a tablespoon, scoop the mixture into the hot oil and slightly flatten with the back of a spoon. 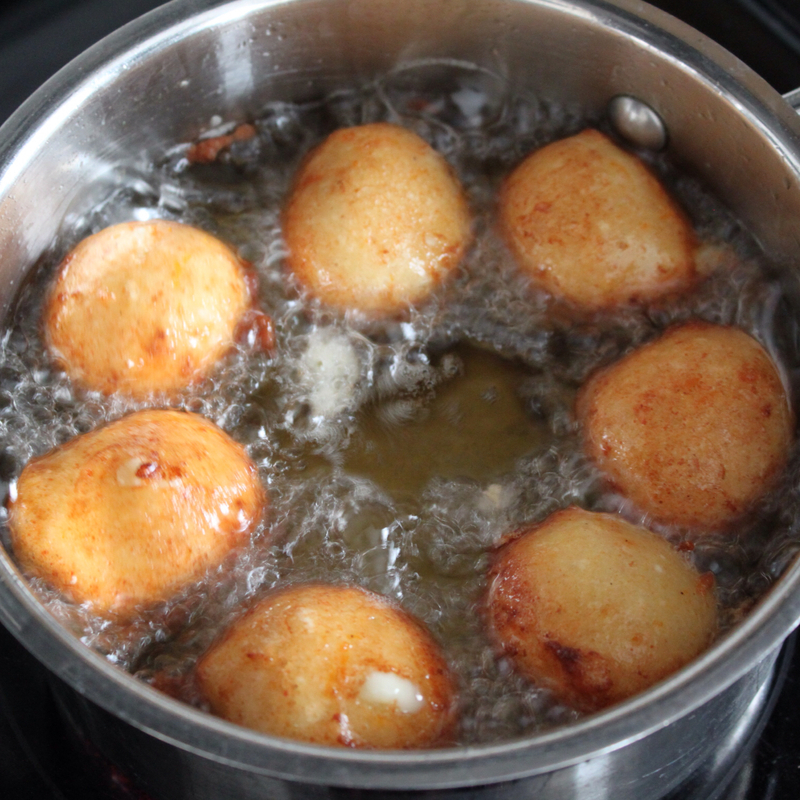 Cook until golden and flip the fritters to cook the other side. Work in small batches and do not overcrowd the pan. Drain on paper towels to soak up excess oil. Pairs well with a cool dip of Greek yogurt and fresh dill. 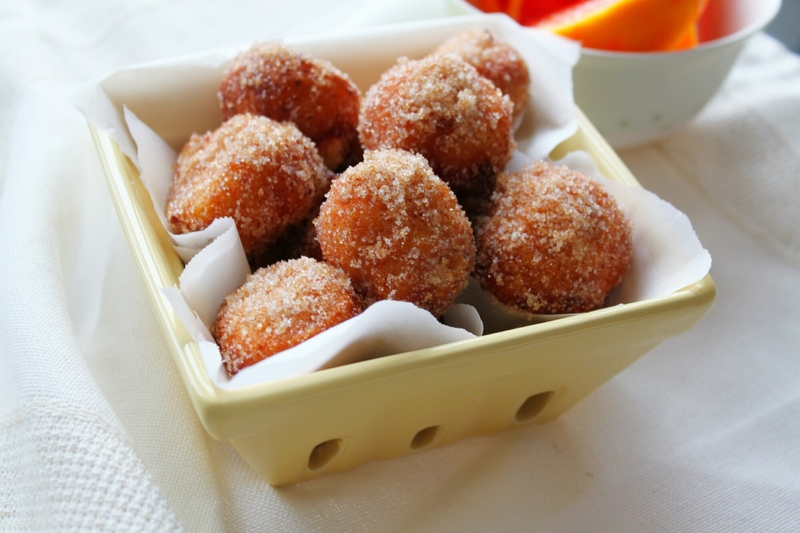 Fritters! 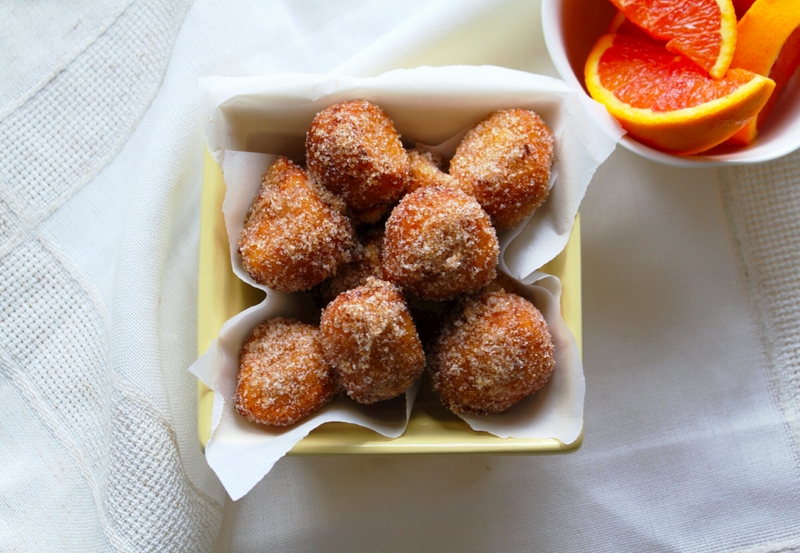 Who doesn’t love a fresh and piping hot donut, sprinkled with cinnamon sugar on a cold day! Yum! 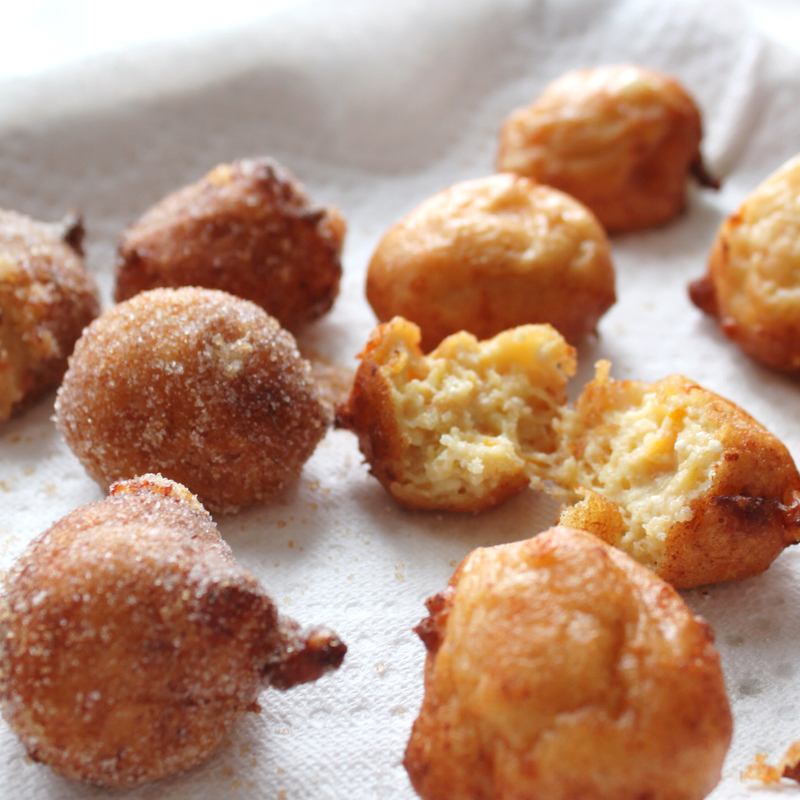 If you have tried a version of fritters made with ricotta, then you’re in for a real decadent. I decided to up the ante and play with the flavours by adding Cara Cara oranges which are currently in season and some velvety Castello Brie cheese. It’s a sinfully delicious combination, one that will have you and your guests hurrying to finish your meal so that you can share these after dinner treats. The fritters are best served immediately after they’re fried (as is usually the case with homemade fritters). The addition of the Brie cheese and oranges make them extra soft, they also pair well with gelato or a silky crème anglaise sauce. These serve a small crowd as they make approximately 15-18 fritters, I used a small cookie scoop for measure. If you cannot find Cara Cara Oranges, you can substitute it with a another variety of sweet oranges or clementines. Be careful when working with hot oil and melting cheese, these don’t take very long to cook and you’re looking for a nice golden brown colour and a quick toss in the cinnamon sugar. Enjoy! 1. 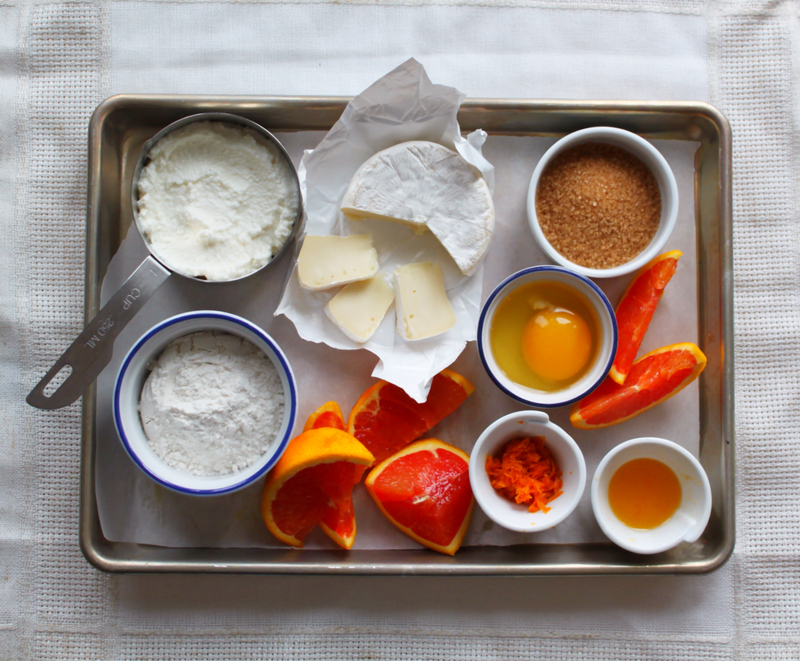 In a large bowl, mix the ricotta and the egg until combined. Slowly add the remaining ingredients and set aside while you get your deep fryer or pot of oil ready. 2. Test the oil by dropping a spoonful of the batter in, it should float to the top and you should see tiny bubbles around it. Fry for approx 2 minutes or until golden. 3.Repeat with the remaining batter using a small cookie scoop measure for the remaing fritters, taking care not to overcrowd the pot. Fry and drain on paper towels and quickly toss into a bowl with sugar/cinnamon and serve immediately. Enjoy! 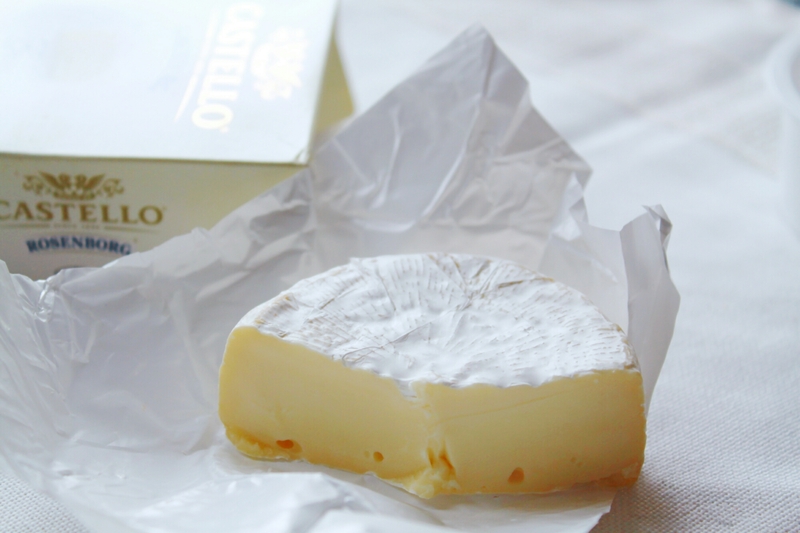 *Disclosure: This post is sponsored by Castello Cheese. I received a free sample of the product for the purpose of this review. All opinions are my own.